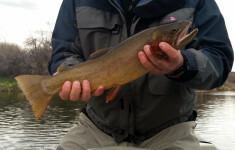 The Big Horn River is one of Wyoming’s Premiere Blue Ribbon trout rivers. 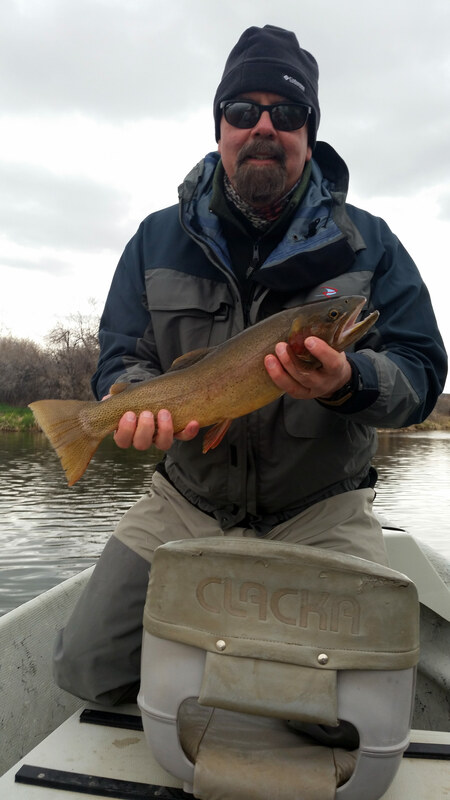 It starts out as the Wind River and changes it’s name to the Big Horn at the Wedding of the Waters just outside of the town of Thermopolis. 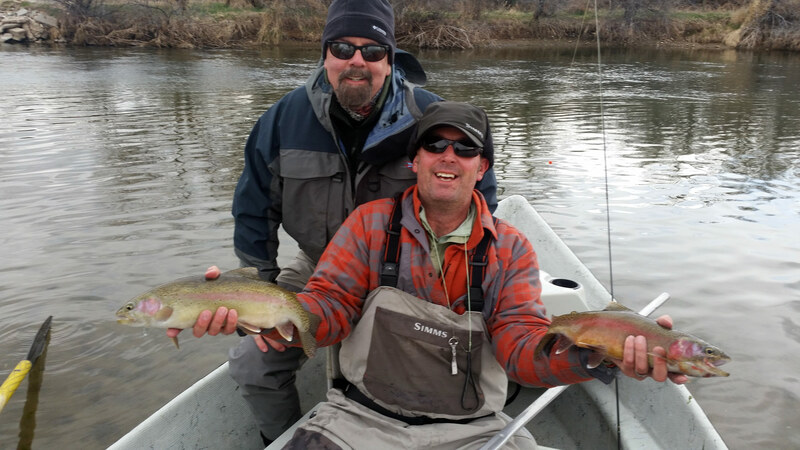 This section of the Big Horn boasts over 3000 fish per mile, including browns, rainbows, and cutthroat trout in the 25 plus inch range. 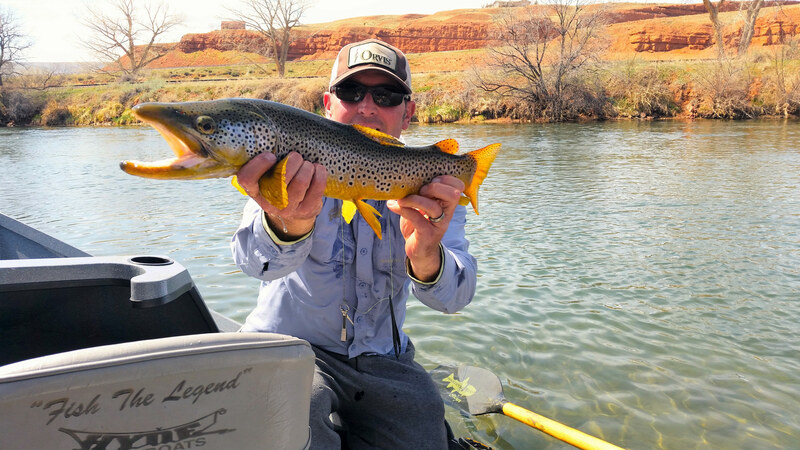 Dry fly fishing can be down right ridiculous in the late spring with prolific BWO and midge hatches and again in late summer through fall on Tricos. 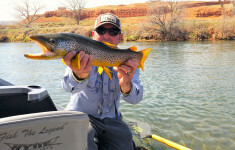 Four Seasons Anglers Big Horn River trip includes 2 nights lodging in Thermopolis (home of the world’s largest mineral hot springs), 2 days guided fishing, lunches, and flies. 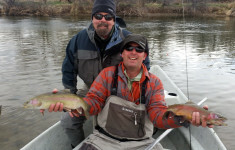 This is a can’t miss destination for any avid trout fisherman.